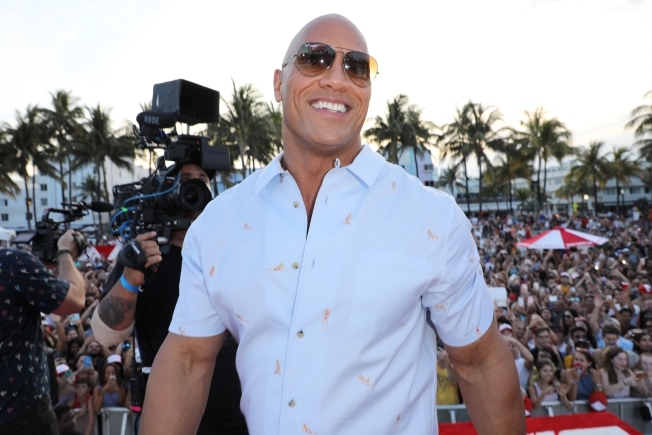 Could Dwayne “The Rock” Johnson be the next president of the United States? According to a new national poll, it looks like a real possibility -- if the former WWE wrestler were to run, of course. In a hypothetical match-up between Johnson and President Donald Trump in 2020, Johnson leads Trump 42-37, according to Public Policy Polling. The poll found that if Johnson were to run as a Democrat in 2020, he’d win over 15 percent of people who supported Trump last fall. The poll also stated that both Democrats and Republicans have a favorable view of the movie star, although 50 percent of voters reported having no opinion. In order to determine the results, PPP surveyed 692 registered voters between May 12 and 14. The margin of error was +/- 3.7 percentage points, and participants were surveyed via phone and e-mail. Apart from “The Rock,” PPP also looked into Trump’s chances against Joe Biden, Bernie Sanders and Elizabeth Warren. Trump falls behind all three hypothetical candidates -- most notably, Biden and Sanders, according to the poll. The poll did not predict what Trump’s chances would be against any potential Republican candidates in 2020. Whether Johnson will actually run in 2020 is yet to be determined. In a recent interview with GQ, however, the actor said he thinks it’s a real possibility. "A year ago, it started coming up more and more," he said. "There was a real sense of earnestness, which made me go home and think, 'Let me really rethink my answer and make sure I am giving an answer that is truthful and also respectful."